We take a pride to introduce ourselves as the chief Laboratory Tubes Exporter and Trader in India. The finest range of Laboratory Tubes is available with us, which is precisely engineered by the experts. The same way, the range of Laboratory Tubes consists of Centrifuge Tubes. 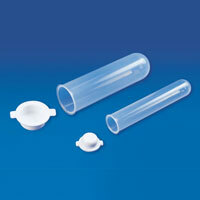 Furthermore, our Laboratory Tubes are available at the most competitive prices for the worldwide clients.